5. Sports-specific and micro-periodisation schemes. 7. Pace training and race training. Training Intensity Distribution and Polarised Training. Race training and race pace training. The podcast today is based on a recent presentation by Stephen Seiler about his hierarchy of endurance training needs. Seiler's hierachy is a pyramid of endurance training, which consists of 8 layers. The large bottom layer is the number 1 most important thing in endurance sports. The further up the pyramid you go, the less important each layer gets. You should focus on the bottom of the pyramid first to reach your endurance goals. Stephen is an American sport scientist who lives in Norway. He is famous for his work in endurance sports science. Among other things he is known for his great research on polarised training. He was the dean on the faculty of Health and Sport Scientist at the University of Agder, in Norway. 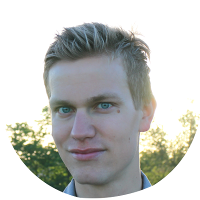 He now works mostly as a Senior Research Consultant for the Norwegian Olympic Federation. He is on the Executive Board of Directors at the European College of Sports Science. It's a well-established fact that volume of training is the most important layer in the hierarchy. 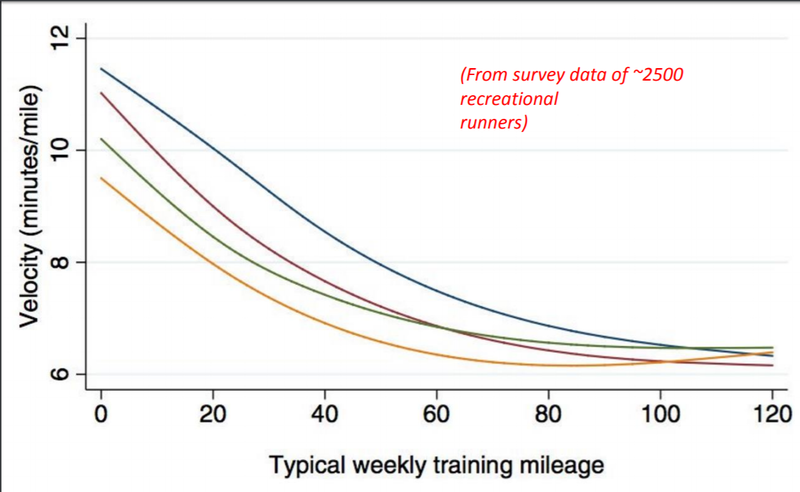 There is a study on 2,500 recreational runners looking at how their weekly mileage correlated to their velocity. As volume increases on the X axis from 20, to 40 to 60 miles per week, the pace that the runners hold becomes increasingly faster. Another example is a case study on Bente Skari, who is one of the best female cross country skiers of all time. She is a 5 time World Champion, Olympic gold medalist and has 46 World Cup victories. Seiler presents a chart of her annual training hours and how it correlates with her VO2max test results each season. At 18 years old she was training 350 hours per year, this increases until she is 26-28 where she reaches her peak training 800 hours per year. Her best VO2max results per season were mostly around 73-76 and all cluster around this time, from age 26-31, when she was training at least 700 hours per year. Her best VO2 max outside of those seasons was 70 when she was training less than 700 hours. Overall, her VO2 max scores seem to correlate with her volume of training. Seiler further references a study that compares world class with national level cross country skiers. Percentage of low, moderate and high intensity training. Their percentage of speed and strength training. They found that the big difference in training was training volume. 30% bigger volume in hours per year in the world class athletes. In the presentation there is a useful chart of annual training volume of champion athletes from different sports. It shows that distance runners may have peak annual training volumes of 550 hours per year. Whereas, cross country skiers are more than 800 hours per year. Rowers are close to 1000 hours per year. Cyclists are close to 1200 hours per year. Swimmers are close to 1400 hours per year. This shows that the less impact there is, the more hours you can do to be successful in the sport. Triathlon combines high volume sports of swimming and cycling, and adds running to it, which makes you realise that triathlon is a sport that really rewards high training volume. The second layer is high intensity training, which is again something that has been well established. It's not new, for example, world class distance runner Paavo Nurmi from the 1920's did high intensity training. It has been researched since the 1970's since Swedish scientist Per Åstrand began researching it. Stephen Seiler and colleagues are trying to answer the question regarding an optimal structure for high intensity training. Personally, I don't think we can say this for sure yet, but there are indications from these studies that there may be an ideal way. Seiler and his group ran a study which compared different versions of interval training with cyclists, accumulating either 64 minutes in zone 3, versus 32 minutes in zone 4, versus 16 minutes in zone 5. Participants were asked to rate their session RPE (rate of perceived exertion). The sRPE was the same for all of these sessions. This study was designed with a control group that did only low intensity training of 4-6 training sessions per week. They increased their training time by 15-20%. The other groups has 2-3 low intensity sessions, and 2 of these interval sessions. Either 4 x 16 minutes in zone 3. Or 4 x 8 minutes zone 4. Or 4 x 4 minutes in zone 5. They didn't prescribe zones, they asked participants to complete the sessions with the highest average intensity possible for the entire session. Basically, go as hard as you can but be able to maintain it. They compared the results of performance changes on VO2 max, power at 4mmol lactate (~lactate threshold) and time to exhaustion at 80% of VO2max. They found that the group who did 4 x 8 minutes around zone 4 (just above anaerobic threshold) improved the most in all of the parameters. These effects were statistically significant in most cases. Time to exhaustion was not. This group showed 8% change in VO2max compared to 3-4% in the 4 x 4 and 4 x 16 low intensity groups. Similar differences in power at VO2max and power at 4mmol lactate. The variance of individual response in the 4 x 8 group was smaller than in the other groups. Each individual had at least a moderate effect. In the other groups some participants had a trivial effect only. This study indicates there may be a sweet spot in intensity training. Another study investigated 20 well-trained junior cross country skiers. They did 8 weeks of high volume, low intensity training as a baseline. 2 interval sessions per week at 91% max heart rate. This translates to 5-10 minute intervals with 30-45 minutes total work. 2 interval sessions per week at 94% max heart rate. This translates to 2-4 minute intervals with 15-20 minutes total work. Added 2 low intensity sessions per week. Both interval groups rated session RPE and it was the same across both groups. When they measured changes in performance using VO2max and changes in lactate threshold they found that the long interval group had statistically significantly larger improvements. This again suggests there may be a high intensity training sweet spot - slightly above the anaerobic threshold, but not quite all-out. 3.5% of her training time in zone 3. This shows that zone 4 may be a sweet spot, but more research is still needed to confirm this. If putting an emphasis on intervals, aim for slightly longer intervals slightly above the anaerobic threshold. Training intensity distribution is also a well established factor that is considered important for endurance training. This comes back to the concept of polarised training, which Stephen Seiler is a pioneering researcher in. Polarised training is defined as having most of your training time below your aerobic threshold - in Zone 1 in a three-zone system. The high intensity training you do is at or above the anaerobic threshold (zone 3 if using 3 zones, zone 4-5 if using 5 zones). 4% in zone 2 (marathon pace). They follow the polarised training model rather than race specificity training. One interesting argument against polarised training is that Kenyan elite runners (5-10k runners) do a lot more work at zone 2. They do similar amounts of work at zone 2 and 3. However evidence from most studies still favours polarised training. Studies usually find that 80% of training is done in the low intensity zone, 5% is done at zone 2, and 15% at zone 3. This will be discussed further in the next episode with David Warden. David Warden and Matt Fitzgerald are producing a book in the autumn called 80/20 Triathlon on this whole topic. This does apply to recreational athletes, but there isn't as much research as there is on elite athletes. For example, one study comparing recreational runners doing polarised training versus threshold training. Threshold group: 60% zone 1, 25% zone 2 and 10% zone 3. These groups were controlled for training load which was calculated by multiplying training intensity by time at that intensity. E.g. 10 minutes at zone 3 = 30 points, 10 minutes at zone 1 = 10 points. They found that improvements in a 10k cross-country race pre- and post-intervention were significantly better in the polarised group compared to the threshold group. Another study compared polarised training and a threshold model in recreationally trained cyclist. In the polarised group the total training time was 381 minutes per week. It was 458 minutes per week in the threshold group. The training load was also significantly larger in the threshold group. Polarised group: 80% zone 1, 20% zone 3. Threshold group: 57% zone 1, 43% zone 2. They compared various performance variables before and after including 40k Time Trial power and lactate threshold power, anaerobic and aerobic threshold power, peak power output and 95% exercise capacity. For the aerobic threshold, peak power output and time to exhaustion tests there were statistically significant differences between the two groups - the polarised group improved more. Not all variables were statistically significant due to the small sample size. 40km time trial improved by 8% in polarised group and 4% in threshold, but it wasn't statistically significant. Time to exhaustion improved by 85% in polarised group and only 37% in threshold group. This gives you an idea of the range of improvement even though all weren't statistically significant. As a triathlete you have to train for three different disciplines and there's no clear cut answer about how this will impact your training distributions. Stay tuned for more information on this next episode. Periodisation details are ranked by Seiler as "unclear but likely over-rated". There are a lot of periodisation models, for example reverse, block, non-linear, undulating, fractal etc. Seiler argues these are scientific sounding ways to say variation, variation, variation - but not too much variation! This agrees with publications by researcher and coach John Kiely, a periodisation expert. There is not a lot of evidence that periodisation is any better than not using periodisation. When they have had control groups compared to periodisation, the control groups do monotonous training. This proves that periodisation is better than no variation, it just proves you need some sort of training variation and progression. It does not prove that a specific periodisation scheme is required to accomplish these improvements. Another argument against periodisation models is that they assume physiological adaptations can be predicted by the type of training you do. You can control the training load parameters, but there are genetic predispositions that control what you can get out of an athlete. Other factors that impact this are the athlete's history of training, history of exposure to different sorts of stress and load, psychological states, biological and physiological states. These can change regularly but affect training. Social and environmental models also affect the output of the system. These factors all work together to make training and improvements in endurance performance not conducive to planning many months in advance. One study that has recently shown this is another Norweigan study by a colleague of Stephen Seiler called Øystein Sylta, PhD student. He created a study that compared how different progressions of interval training resulted in difference performance changes. One group did 4 x 16 minutes at zone 3 for the first meso-cycle, then 4 x 8 minutes at zone 4 the second meso-cycle, then 4 x 4 minutes at zone 5 in the third meso-cycle. Another group did the reverse and started with the higher intensity intervals of 4 x 4 mins zone 5, then 4 x 8 minutes zone 4, then 4 x 16 minutes zone 3. The final group mixed these intervals throughout each of the meso-cycles. They found that all groups improved, but there were no differences in performance improvements. This shows there are many different ways that you can improve and the way that you periodise isn't super important. However, as we discussed in Episode 112 with Chris Myers - it's important to have a plan that you are following as you train. You don't need to be bound to a periodisation scheme but you do need a plan. Being number 4 in the hierarchy doesn't mean this lacks importance. This is ranked as "not established but likely modest". This is looking at whether it makes a difference if you have a day of training with high intensity, followed by 2 low intensity days, and then another high intensity. Compared to high intensity followed by high and low mixed, and then low intensity. Basically, on a micro scale how do you organise your workouts. There is some new evidence that supports these block training schemes, which may make a difference over time. Too little research has been done so far to make it more significant for the hierarchy. This includes factors such as altitude or heat training. This is ranked as "potentially important but individual and condition specific". We know that the elite skiers that Seiler studies do altitude training, as do most elite endurance athletes. The reason is obviously that it works - but it's the final 1-2%. If you haven't done the lower levels of the hierarchy, this layer will not add anything. Return on investment is much lower. Heat acclimation is important if you're competing in the heat, and a 5-7 day acclimatisation period has been shown to improve heat capacity and tolerance. Seiler says it's fairly easy to get this right if you're racing in the heat. However, the effect of heat acclimatisation on performance in normal conditions is likely trivial. Focus on working on the big layers of the hierarchy first: training volume, high intensity training and training intensity distribution, before these latter layers. These layers are important for elite athletes, but they can become distractions for age groupers if you don't have the right prioritisation. By pace training, Seiler means learning to go at your target race pace. Learning to feel that race pace and adapt accordingly. Race training is doing racing in training, or doing races that you see as training opportunities. If you do draft legal racing in triathlon, you're not going got go with the ideal distribution of effort. You want to stick to a pack and if that requires you burning a lot of matches, then you're going to have to do that. Both of these can be potentially decisive if everything else is done right. This is ranked as "potentially decisive if you have one isolated competition and everything else is done right". For more on tapering: Tapering and peaking in triathlon: the art and the science | EP#119. There can be a 3% performance enhancement from tapering, but it is not a guarantee. You need to learn how to do a taper that works for you, and there is a lot of variation in what works with some and not others. This isn't the big lever to making you a much better triathlete, but it can still be important. It's as much of an art as a science. There is a useful study called: The road to gold, training and peaking characteristics in the year prior to gold medal endurance performance. This investigated what skiers and biathletes did in their training in the year prior to a World Championship or Olympic gold medal. The study found that they decreased their training volume by only 4% in the second last week, and 15% in the last week before the race. Very small decreases in their training volume, and much less than is advised in research studies. This falls under the category of 'one isolated competition' because they all will have focused on the World Championships or Olympics as their key races. This shows the variance in this area. Training intensity distributions, specifically a polarised training approach. General periodisation details from an annual perspective. Training stimuli enhancement such as altitude and heat. Race training and pace training. Of those, 1-3 are the the areas to really focus on. If you get your training volume and high intensity training right, you are 90% of the way there.